So, I almost named my youngest daughter Ivy, after one of my grandma's friends. Back then I thought ... "Hmmm. It may be a bit too old fashioned." Now as Ivy's pop up all over children's books, I am kicking myself. Here is a read that pairs up nicely with the Grace books! Bean's mom is always bugging her to go across the street and play with that nice new girl, Ivy. But Bean knows what nice means. Nice = Boring. Why would she want to play with a girl who seems to like to simply sit on her porch alone, when Bean could be tormenting her older sister Nancy? That is a much more interesting pursuit! One day, however, fate throws Bean and Ivy in the same vicinity and friendship quickly blooms. Getting into mischief is so much sweeter when you have a partner in crime! Number 1 in the series by annie barrow and sophie blackhall fits nicely into the early independent reader arena. 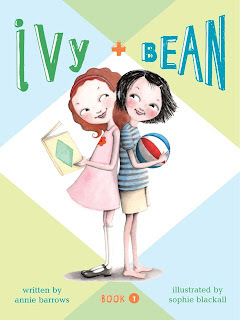 With just enough black and white illustrations and a couple sassy protagonists, Ivy + Bean is sure to find a place in the hearts of fans of Judy Moody, Just Grace, and those on the way to Hannah West. I had seen this, but hadn't read it. Sounds like I should go back and do so. A collection of my ramblings about the many books I am reading! All the titles that appear here are recommendations...there is too much negativity out in the blogosphere already! I am a school librarian. 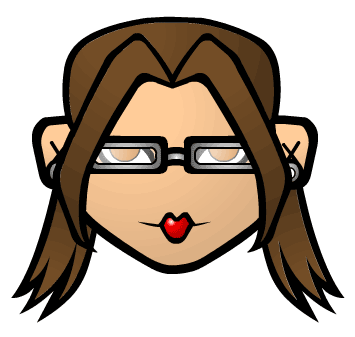 And an avid reader of children's and YA fiction, with the occasional dabble in the world of grown up non fiction (a la Devil in the White City, Maximum City). If you are an author and would like to send a copy of your book for me to review, please send it c/o LREI 272 Sixth Ave NY, NY 10014. Please realize that sending a title does not guarantee a review on Booktopia or Tweendom. All reviews are the property of Stacy Dillon and Booktopia. Please do not use them for your own purposes without permission. Thanks!